The Messerschmitt Bf 109 began as an entry in a Luftwaffe fighter competition in the early 1930s. 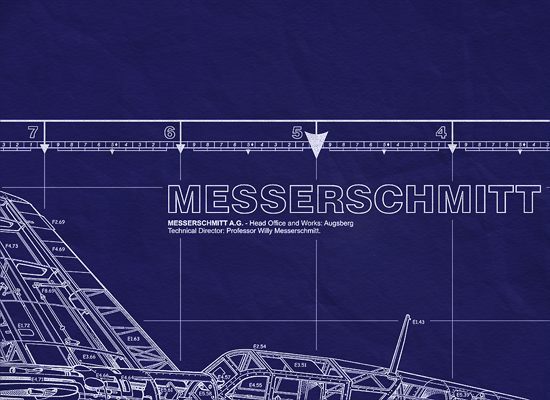 Willy Messerschmitt's creation incorporated one of the most advanced aerodynamic designs at the time, with retractable landing gear, automatic slats, cantilever wings and stressed skin construction. 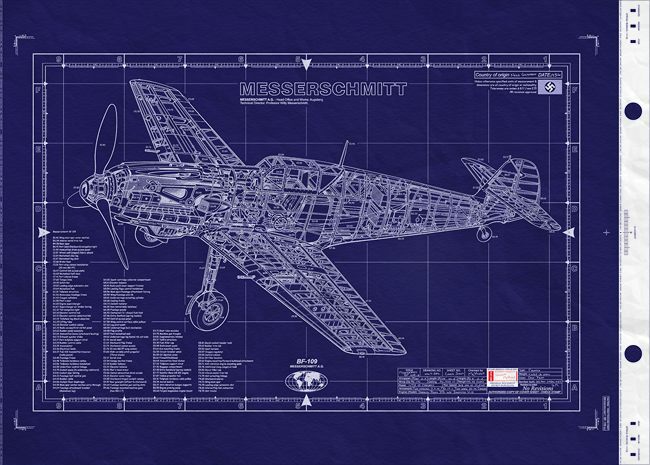 The basic design concept of the Messerschmitt Bf-109 fighter was simple… to employ the largest, most powerful engine in the lightest airframe possible. Continued from above… was able to outfight or outrun virtually all opposition. From the summer of 1942 the Messerschmitt BF-109's powered by a Daimler-Benz producing 1,800 hp with water-methanol injection and giving a speed of 685 km/h (428 mph), entered service in Russia and North Africa before being deployed in every other theater. With its standard armament of a cannon and two machine guns the Messerschmitt 109, like the Spitfire , saw action throughout the war. Prior to the commencement of WWII and throughout the Battle of Britain the Bf109 was no doubt one of the worlds greatest single seat, single engine fighters. Compared to the British Hurricane and the Spitfire it was equal to the task and historians and aircraft enthusiasts will argue for many years which was the best aircraft. Overall, possibly of the three the Spitfire just edges to the fore, but had Germany made the necessary improvements to the Bf109 as the British did to the Hurricane and Spitfire, then the outcome of 1940 may have been different. If the German Luftwaffe was not completely ready for a war that broke out three years too early - Hitler had envisaged it for 1942 - it was better prepared for the fight than the air forces which opposed it. Army generals initially proposed to repeat the strategy and tactics of the First World War on the ground. Allied air forces seemed geared to the same thing in the air. 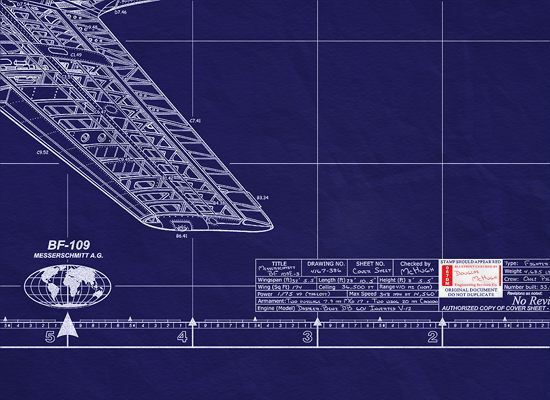 There were still air marshals who thought that biplane maneuverability could beat the speed and power of the modern monoplane. This was how obsolete aircraft like the British Gloster Gladiator biplane, the French Bloch 201 and the Polish PZL-PII came to be still in service at the outbreak of war. The Germans, on the other hand, had played the major role in creating the fast moving lightning war tactics which were to characterize the first conflict dominated by air power. The Luftwaffe had the aircraft and tactics to match. The technique of dive-bombing, in which the Stuka Ju87 so reprehensibly distinguished itself had had its preliminary rehearsals in Spain. Fast all-metal monoplane bombers like the Dornier Dol7, Heinkel III and Ju88, even if they failed to fulfill hopes that they could outpace opposing fighters, were all vastly superior to anything Germany's enemies could put into the air in 1939. And while Allied capability remained insufficient to counter it, the concept of the Zerstorer (destroyer) fighter, like the Messerschmitt Me-l10, offered the chance to bludgeon aside opposing fighters and carve a path to target for the bombers they were escorting. 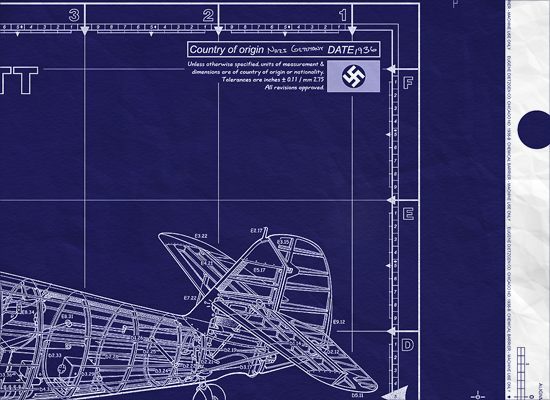 Later, the myth of the 'destroyer' fighter figured among weaknesses and miscalculations about the Luftwaffe, and this included the fact that the Luftwaffe was created more for attack than for defense. All the same, in 1939, these revelations lay in what looked like a dismal future for Germany's opponents. Although Britain had the eight-gun Spitfire and Hurricane fighters to take on the Luftwaffe's fast Messerschmitt Me-l09, the fact was that at the start of the war, Luftwaffe aircraft had the speed, power and range to thrash the air forces of all Germany's immediate enemies, making the Luftwaffe a much feared instrument of war, and a potent striking force.